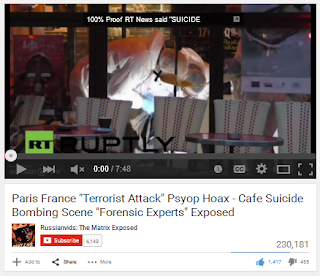 Mass Shootings & Paul is Dead & other things: Paris Attacks, Paris Schmattacks. Not every big event is a drill, but some are. Paris Attacks, Paris Schmattacks. Not every big event is a drill, but some are. 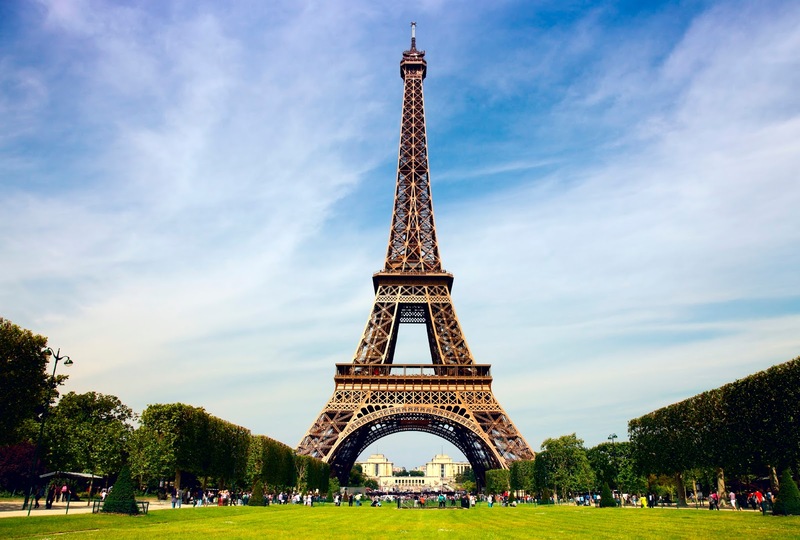 There was an exact drill taking place in Paris, France, the same day. We will see that Wikipedia had a complete article within 2 hours when little information was available and most were not writing up coherent versions of it. 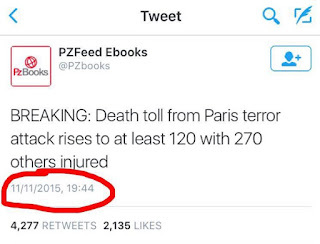 A Twitter bot which mashes titles from different things came up with that event 2 days before. The blood was mopped (dragged in a roller-like, rectangular consistent thickness and in a somewhat similar way, around two groups of claimed dead), and the dead themselves show tell-tale suggestions that they were dummies. Silly idea? Not really now. Check out the mopped blood, below. No, really. Do. I won't put it here so you can actually continue reading all the rest of the info, even if the weird blood were not there, with other problems. Fake event entirely, then? Merely a falseflag (lie) with people dead, but also real patsies? ISIS/related groups acting on their own but allowed to? 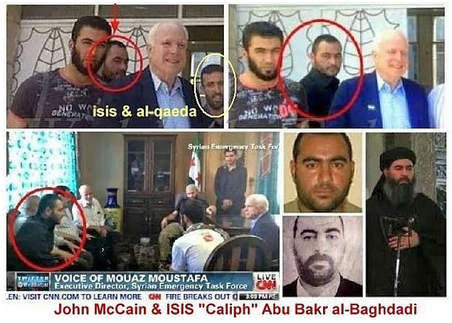 ISIS/related groups acting on their own but with their ties to US and Turkish, Saudi, Qatar, UK and Israel, are they not still functioning in a convenient way for anti-Syria warmongering? Or none of that and just natural, from supposedly complete fanaticism? 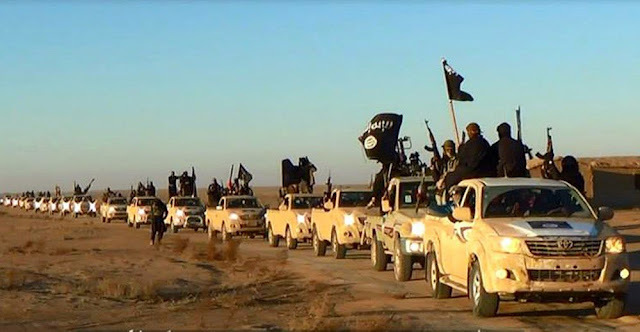 Who gave the matching Toyota convoy to ISIS/ISIL? And why was the convoy not bombed right away by drones? Right. Now we are talking. We know ISIS/ISIL is a splinter group from Al Qaeda, which itself contains dupes, fanatics and patsies as well as agents directly knowing of the agendas they are sent to radicalize. Okay, so the world is messy, and "we", with Saudi Arabia, Israel, Turkey, etc., all want to get Assad. He's the big bad guy of the world, right? 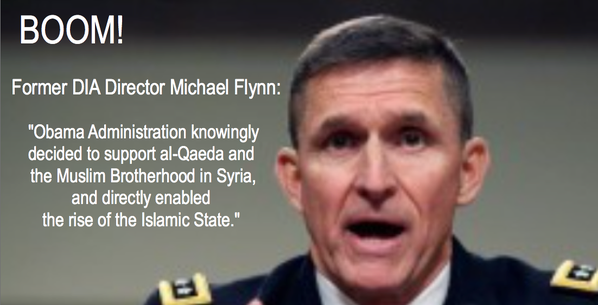 If ISIS/ISIL are funded and protected by "our side" for some reason, that is one thing http://www.globalresearch.ca/who-supports-the-islamic-state-isis-saudi-arabia-turkey-qatar-uk-france-usa/5490271. But even if so, they could have done the events in Paris directly, right? France has been taken hostage by foreign wars, it seems. The events of Nov 13, 2015 will be famous. But what are the events? 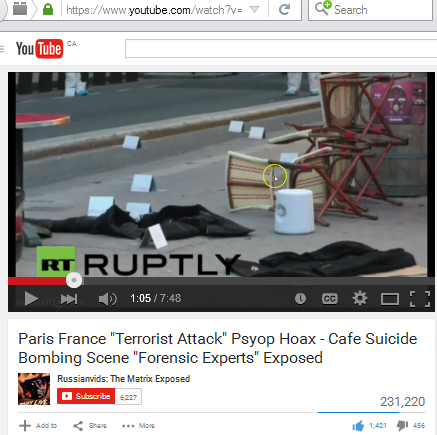 This article handle the main points of whether this was a falseflag without faking, a non-falseflag but how the groups blamed are controlled opposition, protected in a sense and whether as some have asked, it was a fake set of scenes in a city-wide spot-location drill. We will give a bit on each, and also remind people not to delve into grand inaccuracies about people where bigotry, hate arise. What is Free Trade? Rightwingers might say the trade agreements are not free for business enough or in the correct ways for average business (in the latter point they would be correct that they harm average business; left wingers (other than classic liberals) might say they are not the right kind of trade agreements as well, but that agreements should be more protective to help average business, called Fair Trade. So what is Free Trade, really? You will want to read an amazing article on Free Trade and the US Confederacy, which I reposted from the original site (due to virus warnings sometimes given for that site). My post is at http://youcanknowsometimes.blogspot.ca/2015/07/free-trade-confederacy-and-political.html. But I have veered into something away from the attacks themselves exactly, whatever they were. What are bigotry and hate? They always seem justified, for one, when people begin toward the tendencies. But it's a lack of total perspective using one perspective only: we need to look at each person as being a mix of moments, reactions, training, ideas, abilities and changeable circumstances. Yes, certain texts in all religions -- just as science sureties -- can make a person stuck on one concept about a concept. So can economic situations and choices along the way in life. But really, most people are a mix of reactions in a lifetime, and not categorizable completely. When we use sometimes-useful ideas to over predict what people are capable of becoming, limiting them, then we are being bigoted. We want to be aware and wise about them ... no matter what we do know about tendencies they probably have under some circumstances, from an upbringing we know about. However, here, we will have to cover not only some of what that author discussed, but motor on, understanding more and more about the events themselves. 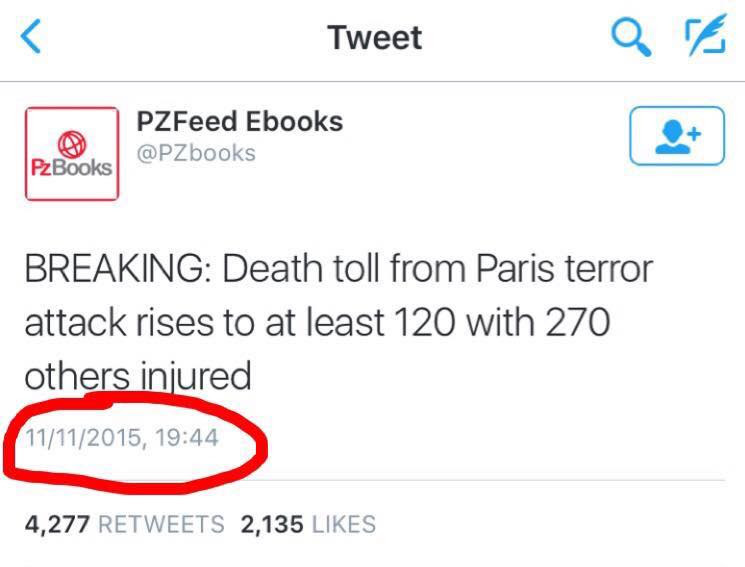 As usual, the politicos and talking heads are all talking their own book, using the Paris terror attacks to push their own agendas. As shown below, they’re spouting nonsense. 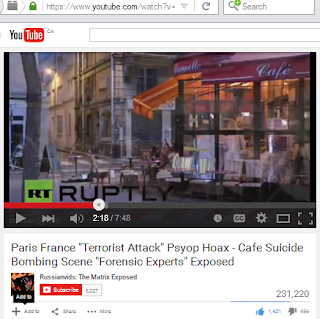 The NSA and other spy agencies are pretending that the Paris attacks show that we need more mass surveillance. As one French counterterrorism expert and former defense official said, this shows that “our intelligence is actually pretty good, but our ability to act on it is limited by the sheer numbers.” In other words, the problem in this case was not a lack of data, but a failure to act on information authorities already had. In fact, indiscriminate bulk data sweeps have not been useful. In the more than two years since the N.S.A.’s data collection programs became known to the public, the intelligence community has failed to show that the phone program has thwarted a terrorist attack. Yet for years intelligence officials and members of Congress repeatedly misled the public by claiming that it was effective. In reality, top security experts agree that mass surveillance makes us MORE vulnerable to terrorists. Indeed, even the NSA has previously admitted that it’s collecting too MUCH information to stop terror attacks. The spy agencies are also pretending that encryption made it impossible to stop the attacks. “…News emerging from Paris — as well as evidence from a Belgian ISIS raid in January — suggests that the ISIS terror networks involved were communicating in the clear, and that the data on their smartphones was not encrypted. The reports note that Abdelhamid Abaaoud, the “mastermind” of both the Paris attacks and a thwarted Belgium attack ten months ago, failed to use any encryption whatsoever (read: existing capabilities stopped the Belgium attacks and could have stopped the Paris attacks, but didn’t). That’s of course not to say batshit religious cults like ISIS don’t use encryption, and won’t do so going forward. Everybody uses encryption. But the point remains that to use a tragedy to vilify encryption, push for surveillance expansion, and pass backdoor laws that will make everybody less safe — is nearly as gruesome as the attacks themselves. Just as with 9/11, the Boston marathon bombings, and other recent attacks, governments are pretending “it wasn’t foreseeable”. But CBS reports that law enforcement sources say that 7 of the 8 terrorists were known in advance to U.S. or French intelligence services. Most of the men who carried out the Paris attacks were already on the radar of intelligence officials in France and Belgium, where several of the attackers lived only hundreds of yards from the main police station, in a neighborhood known as a haven for extremists. I’m all for killing members of ISIS. But given that the U.S. and its close allies – Saudi Arabia, Turkey, Qatar and Bahrain – are massively supporting ISIS, stopping the arming, feeding and logistical support is even more important if we want to stop these crazies. 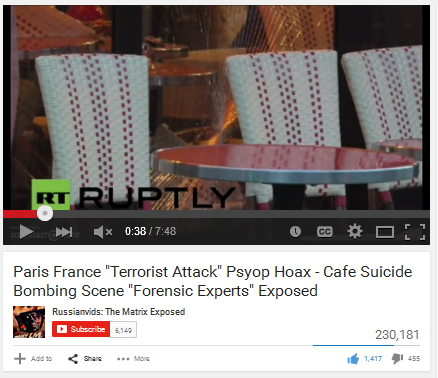 None of the Paris terrorists were Syrian. All of them were European nationals. The German Interior Minister suggests that the Syrian passport found at the scene of the terror attacks was a “false flag” by ISIS meant to force countries to seal their borders against further refugees. Why would they do this? Numerous security experts suggest that refugees fleeing ISIS’ “Caliphate” is a PR disaster for ISIS. After all, happy fundamentalist Muslims wouldn’t flee utopia, would they? The mastermind of the Paris attacks was able to slip into Europe among Syrian migrants, it emerged last night, as police on the continent admitted they are unable to monitor thousands of suspected jihadists. It has emerged that Abaaoud, and at least two of the Paris terrorists took the migrant route via Greece, intensifying fears that terrorists are able easily to exploit the refugee crisis to get to Europe. 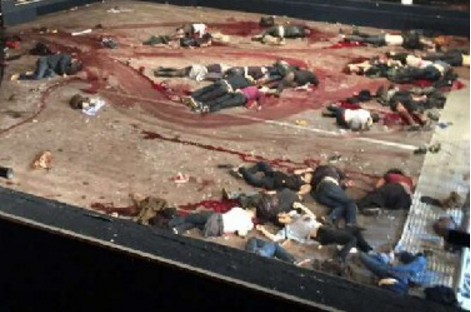 Specifically, many of the Paris terrorists were European nationals who went to fight for ISIS in Syria, and then they slipped in with the refugees coming from Syria to get back into Europe. So those saying that the civilians fleeing war and mayham in Syria are all terrorists are wrong … but so are those saying that the massive refugee flow poses no danger. Yet we are here to present some indications that the event was not real, as in, it was not even some organized plot from abroad, though persons linked now to it in some way -- part of a drill or knowing, or just inconvenient or caught in the police intensity of blame. 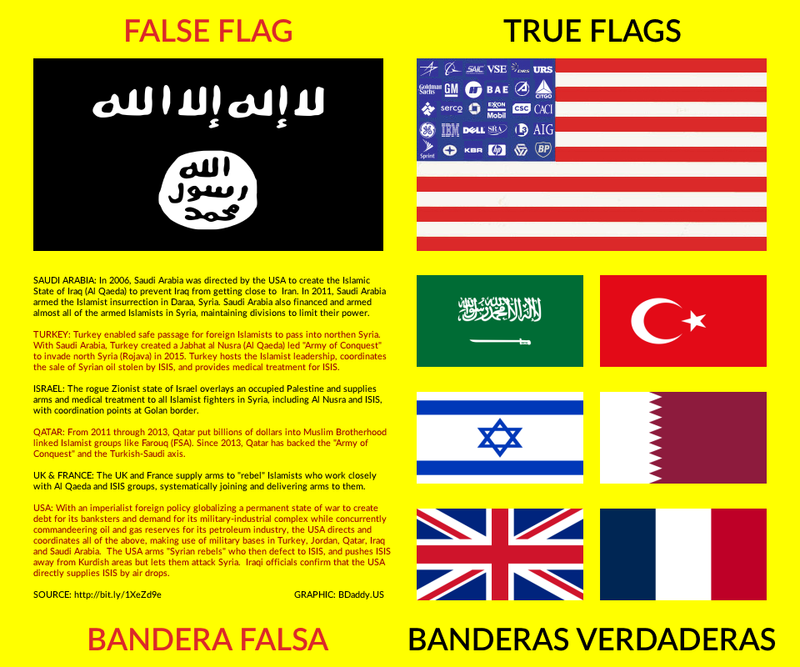 What if they were a falseflag event just because ISIS is in some sense created and supported in some ways by outsiders? 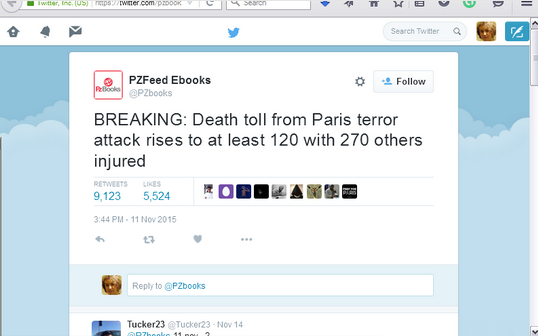 Okay, that is one option for the Paris attacks, that they were real, from ISIS, but ISIS is in a sense unreal. But then the participants could be real radicals from ISIS, without full knowledge of what their higher-ups are tied to. And the people shot now as part of the ring would be still not in the know, necessarily. Or they could be, literally, drills, while some participants could be real radicals. One thing we will show is that the claimed blood was mopped or rollered around the bodies in nice neat swathes, on the concert hall floor. Another is that bodies show possible incongruities in the right ways to be dummies on that floor. Also, a cafe shooter scene seems too neat outside, maybe. Plus, Wikipedia had extensive articles (one main article was captured) shortly after the events, whatever they really were, even as news agencies were still scrambling for some basic information! And a Twitter "bot", or automatic news feed picked up something, it seems, from some early source for the drill, if it was a drill, gone live. Finally, we can mention once, for an interesting correlate piece of evidence to marshal toward the idea, that we might also want to remember how nicely symbolic the events of November 13, 2015 were: they were a Friday the 13th event and the number 11/13 is quite handy for those who like so-called occult number usage. Don't those blood smears seem odd?! Just as one item, would that not make you wonder, if you were open to wondering at all? And does this look real to you? Okay, it's low resolution. But have you seen people look like this, really, in photos? Don't they usually look inexplicably different? It's not something one can put into words, exactly. Nor is any piece of evidence exact in a case -- remember, we have to accept evidence as factual or part of a case because of the rest of the case, each part accepted for a moment. ... we are then beginning to make a wild, flaky claim, right? Or are some people quite capable of sniffing out a problem before others do? Both could be true, depending on the case, so we will have to see in this case what crops up. We might want to look at whether there is a motive to fake the event. Just for a moment, remember that for those who really do believe in terror as a major threat to "The West", and who want to manage assets for the rich, there really is a motive to change public opinion and get in "mob control" laws, lowering people's general civil freedoms. Of course, that does not mean a particular event is or is not a set-up affair, especially one which does not maybe kill anyone at all at first. Nor is that discussion above something which is presented with doubts about the threats at all, under any circumstance created by them. But the idea that there would have to be more to move public opinion, naturally, let us say, is in there. Wait, you may say -- if you are new to this kind of thing. Hundreds of people cannot be faked and even if they could, the amount of people who would have to know and families disrupted and so on is utterly ludicrous? Well, no, it actually breaks down into manageable items to think about, if you bother. 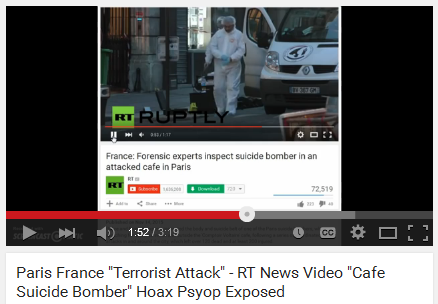 So the real issue would be whether the evidence that it was fake, actually is piling up. We will get to your possible worries about numbers of people paid off, in witness protection, killed or names fake, later. Second, some background on ISIS, Assad, Muslim terrorism as a huge grouping rather than smaller and local fanatics or nationalists, and intelligence services. Did he murder all of his people with gas as they said? No, that was Saudi radicalizers and spy chief, with a little help from their friends. Before you balk, go look into it. (http://tarpley.net/docs/20130915-ISTeams-Ghouta-Report.pdf). Is Assad's regime great? No. But do they (or did they) have the most tolerant largely Muslim nation in the region? Yes. Are they (or were they) developing? Yes. And do they have a natural route for pipelines and many natural resources to steal, if possible? Yes. More information on how ISIS was created by funding and still received bombs this year, 2015, for some of its escapades, will follow the information on Paris. 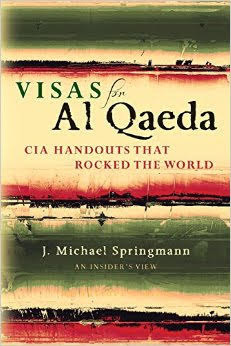 But it is worth knowing that in a sense, though there are fanatics, dupes and patsies in the major groups (such as the bunch called Al Qaeda), who are bussed in for events and really do fight, that in another sense they do not exist, on their own. They are controlled, funded, arranged in their major groupings. Even the UK former British Foreign Secretary, who has to know some things -- though he would not know all -- said so. But we can know in other ways, too. He died a week after giving this speech. Anyway, even if there were really some major threat which was totally, completely indigenous to Muslim world politics, we have Paris to get to. So, we are back to the issue of getting Assad. Someone should translate that into French. Are the Syrian leaders in general, pan-Arabists, that is, modernizers as much as possible, yes, given what goes on in the general area around them. But Saudis are not: they are the most reactionary regime. Why not go after them? Again, yes, the world is messy, but isn't it messier to give over to those who plan it all for their own benefit and dupe their intelligence services, or use bigotries within those services, to do geopolitical lying and deflection from their own stealing? Yes. 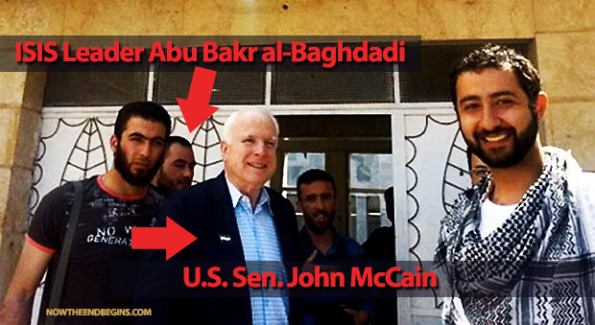 As such, Senator John McCain supports radical groups (including ISIS leaders) but then they go "wild", right? Not really. Maybe a bit. But they're tied to support. Okay. We are on the same general page now, of what may be going on in the region, just may be going on, despite actual backwardisms among some people of Muslim or other religions around the world? Of course some people will say the detailed reports of Twitter and Wikipedia below are the fakes, or because they can think up some doubt, that doubt fits fully. But have a look below. And what of the wide, smeared blood on the theatre, concert hall floor? Is that from dragging a body? If there were that much blood for real, where is the massive pool of it? And why so perfect? Don't legs drag differently and arms, and so on? 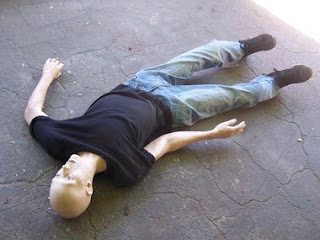 Or the fact dummies fit the look of the bodies there, even if not exactly determinable from the photos? Here's a "taste" of the issue. Oh and remember: no scenes are available of the Sandy Hook victims or even the classroom shooting area, or Osama Bin Laden's body (the one available is truly widely known as a fake: the crop line between Osama's face and a slightly decomposed corpse body is quite clear if you look). But I digress. The mopping or spreading or dragging of supposed blood is around both little groupings in the top center. Why move people all around? Why are other large smears not there if they could ever be natural? Does that mean the victim names are all fake? No. 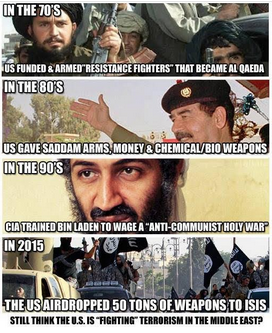 Exaggerated name list would be used, but some real ones could go into a Witness Protection program all for the good of "getting Assad and ISIS" in Syria, and others could have -- just could have -- been killed as a convenient aspect to get rid of a few that "the government" did not like, or contractor businesses, or banking money laundering drug and arms dealers, or whatever. You and I know (don't we?) that for a drill, things go out before sometimes, and there was no problem until someone decides to pretend the thing is real. Wikipedia had an article up within 2 hours which was extensive. Not only that, but we now have that mopped or rollered blood, so an early, detailed, nearly complete Wiki page when most news services didn't know what was going on yet fully, is more than fishy. In fact, without the blood and the rest I will cover here, it still was higly improbable or even impossible to have such a wonderful Wiki page up. In fact, though there is not outside proof right now (unless the ISP and version links are still working when you click on them in the article below), the author of the following article commented on all the previous versions of the article, some of them quite early, and has traced the server identification (ISP) of the author of that article, to a company in the UK. For a drill and/or a lying terror plot -- even when using dupes or patsies for real harm -- many persons are involved professionally, some of them believing in the cause. So we need not worry about how "so many would help". Also, this is true inside intelligence services, which are themselves embedded into industries and which run shell company industries. Let us not stumble on why a large group would help, be trained, be confused as well through compartmentalization, and agree or be scared later to say something. It is not a fair objection though it seems always like a good one to start. Twitter, too, has a bot which picked up a news-feed, it seems, a day early. This Twitter tweet was still up when I checked it also on the 18th. People had replied but no-one had gotten back to them. It turns out the account is a "bot", a "newsfeed". If someone had planted this to make conspiracy theorists look bad -- I mean no pejorative in the term "conspiracy theorists", but just a technical description of those who study corruption and possible corruption by two or more persons, and thus explain it, with a case theory -- then yes, it could have been back-dated. However, as a bot, it also would have picked up an early and mistaken drill notice which would have been taken down elsewhere. The item is not conclusive, but it is highly suggestive, thus, evidence toward the idea of a drill. The concert hall, with a roller or mop shape, having smeared the blood. We saw that but let us refresh our memories. Wild. But there are also some things about bodies and dummies one should know. 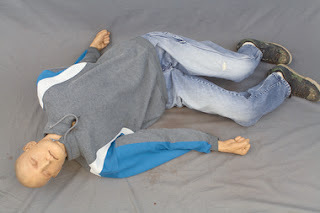 We also know that dummies can sometimes look fine, and humans, contrarily, look odd, when thrown, broken or beaten. Yet there are some again detailed reasons to suspect dummies are in the concert hall. -- This comes in a context, though, of course: the general reasons to suspect a terror drill and cover-up, plus the more direct evidence marshalled, in spite of objections, that the blood was smeared implausibly, plus the quick Wiki and the odd identity of the poster on Wiki, and the Twitter bot, in addition to a rather okay-looking cafe scene. We get a close-up face shot suddenly, when in other events we generally do not? And how does it look? Compare the dummy above with the claimant for a victim head at the event? The next dummy is not bad, except those flat legs, right? Hands don't quite do the trick. 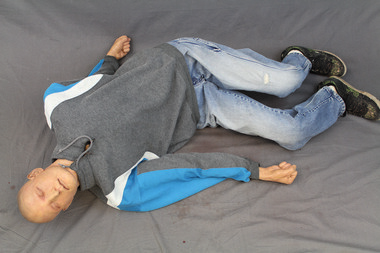 Then look at many of the legs in the claimed victim scene -- some (not all, of course, since angles of view and happenstance of clothing and position can make a dummy look less or more realistic). The first there looks pretty flat. So does the one just above this text. Okay, so maybe we have dummies. But here is another oddity: the pelvis. Yes, legs get thrown, yes, upper legs can break. But then would there not be some who lost their limbs? Remember Boston Marathon -- oh pardon me, no, don't, since a tiny bomb was supposed to have gone off, complete with schrapnel but nowhere near these amounts of dead, nowhere near this blood, not quickly or shooting from the bodies. I digress. 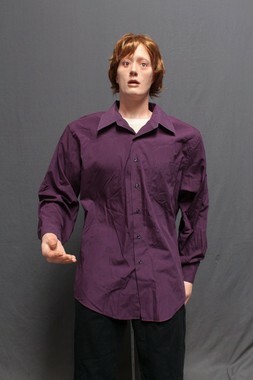 Yes I do understand that a) dummies can look natural, and that b) humans can look somewhat unnatural. 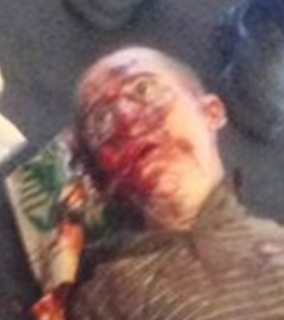 But these claimed victim people and their neat swathes of supposedly dragged blood, just do have the features of dummy use, within even higher probability, given the blood weirdness and the type of event we know this could be. The Russia Today coverage had it originally as an event from a "suicide bomber" and now has been downgraded to "shooter". The videomaker did not know that at the time. But even chaos from a shooter would not likely leave such neatly overturned chairs outside, though, with a few pieces of clothing, no major damage to coffee cups: the thing *looks* fake. Is it? The scene looks at least highly implausible even for the shooter idea. The chairs and non-chaotic external look are far from normal for even such an event where 4 people supposedly died, many would have rushed out and so on. Only a few neat clothes are strewn and a couple of chairs are overturned outside, not even messily. Coffee cups and the table are fine at the end of the restaurant. Yes it is not by the door, so had people left their coffees before the event? Moreover, had no-one rushed by the table to break a cup? Not certainly, but initially it might be more likely that people would have upturned those at some point? The general impression is not one of chaos. Given the Wiki quick article which was so thorough, tied to a UK company ISP, and the concert hall "blood" and "bodies" questions, even a Twitter bot's picking up of a news item early, supposedly, and the general "need" to have such things to move mass opinion, I think the cafe scene, though not conclusive, is evidence toward the hypothesis conclusion. Chairs were neatly stacked but upended, on one side and this side is so neat and tidy. Of course that's outside. And from the angle where, though bullets went flying, people had a nice easy time leaving their coffee cups here without upending tables. And no-one later happened to throw them over. This is possible, actually, but less likely given the context. The videomaker points out the forensics team -- which might really be one, in training, by the way, even if this were a drill -- is chewing gum and smoking ... but that's actually outside. Sure, they do not look too busy, in general, but it's been only a few hours since the event. I'm sure there is no rush, no panic, no emotion for anyone. Heck, there are not even that many people freaking out, looking around, etc., waving people away. Yes, there was officially a lockdown, but come on: are there ever totally calm streets? Again, yes, there are, sometimes. In very commercial districts, where no-one lives, or even on some streets where people live, all is quiet late at night. But not with true terror going on. Not generally, I would think. The overall event just doesn't feel right, after that mopped blood and early, detailed, nearly complete Wiki pages when most news services didn't know what was going on yet fully. What happened at NYC on 9/11, found in the dust?